Tsagan Aman . Kalmykia. Russia. 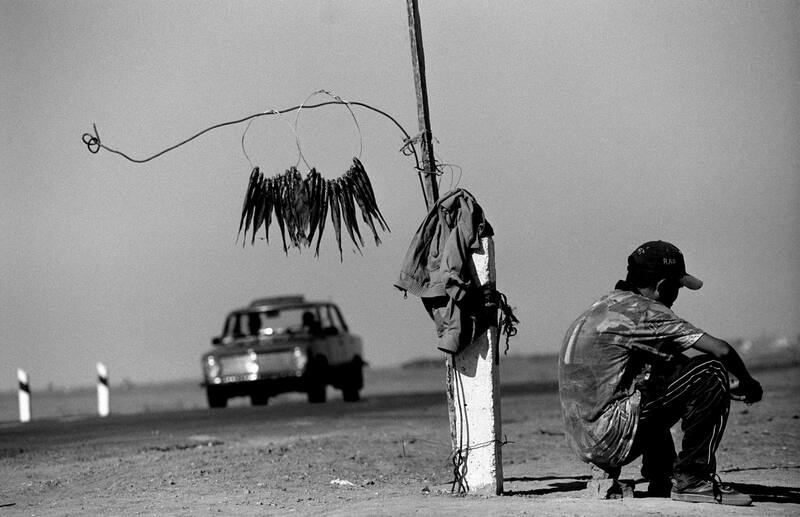 1999 A fisherman at the side of the road hoping for a sale.